CALL FOR PRESENTATIONS HAS BEGUN AND ENDS 28th OF APRIL 2019! 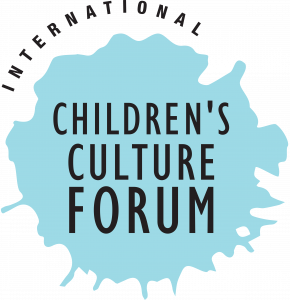 The first International Children’s Culture Forum in Finland takes place in the city of Tampere in fall 2019. The forum’s aims are to widen international co-operation and to deepen the shared understanding of the value base of children’s rights and their role in a well-functioning society. We are expecting many interesting speeches, workshops and discussions on children’s culture. One of the confirmed key note speakers for the forum is Dr. Charlotte Svendler Nielsen, an associate professor at the University of Copenhagen in Denmark. Her presentation carries the title Embodied and Intercultural Learning in Interdisciplinary Arts Education – Advancing Futures of Children in Multi-Cultural Schools? We welcome innovative examples of policies, practices and research on children’s arts and culture. We are looking for presentations or short workshops that describe or analyse at least one of the conference themes. Presentations can focus on policy, practice or research. The length of the presentation is limited to 20 minutes. Please submit an abstract via this form as soon as possible but no later than the 28th of April 2019. If you have any questions concerning this call for presentations, please contact the project coordinator Ms. Sunna Maijala (sunna.maijala(at)lastenkulttuuri.fi). For any other questions, please contact Ms. Marianna Lehtinen (marianna.lehtinen(at)tampere.fi) or Mr. Aleksi Valta (aleksi.valta(at)lastenkulttuuri.fi). The event is hosted by the city of Tampere, a European Culture Capital 2026 candidate for Finland. The city will celebrate its 240th birthday on October 1st. 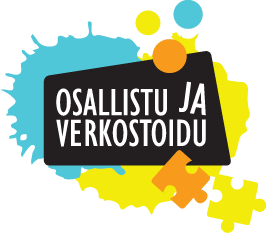 The Association of Finnish Children’s Cultural Centers was founded in 2015 to promote professionally organized children’s cultural centers in Finland. Nowadays the Association consists of 30 children’s cultural centers and is an advocate for the importance and visibility of children’s culture in everyday life. The member organizations have a strong tradition of reciprocal support within their network, and the Association further progresses it.